One word. A lifetime of memories. Ortonville is the small Minnesota town where my dad grew up and where our family went to visit his parents—Grammo and Grampo to my sister, Cyn, and me—for most holidays and just because, year after year after year. It was a second home to us. I still get the Ortonville Independent in the mail, the newspaper that’s been run by the Kaercher family for three generations. Jimmy Kaercher is around my mom’s age and still writes a weekly column. His daughter, Sue, recently took over the reins of day-to-day operations. Another building is gone from Ortonville’s main street. The old brick building that stood on the northeast corner of Second Street and Jackson Avenue was leveled early Saturday morning. The building, which had been vacant for decades, was owned by the EDA after it went to the county in back taxes. Bricks were falling off it, windows were broken and the roof was in need of repair. It had become dangerous. That doesn’t make it any easier to see it come down. It was a landmark to the community, part of the town’s identity. The building was referred to as the “Odd Fellows” building because it was built to house the meeting room for the Odd Fellows fraternal organization. By the time I got to the end of Rhonda Hayes‘ story of love, loss and second chances in Guideposts, I was sobbing. I was so impressed by her joyous attitude and love of life that I contacted her through her website. Since she and her husband Larry don’t live far from me, they graciously drove to Encinitas tonight and met me for dinner at the Lotus Cafe. We had a wonderful visit and I look forward to seeing them again. They truly are an inspirational pair! Rhonda’s Guideposts story is below. A recently widowed mother’s leap of faith is rewarded and a daughter’s last wish granted. “A life?” I said. “Sweetie, you are my life.” I was massaging my daughter’s feet like I did every day, trying to take her mind off the pain her cancer was inflicting, a cancer about which nothing more could be done. How could I think about “having a life” when my daughter’s was draining away? Allowing events in the external world to shape and define your internal world is an act of self-delusion that always leads to suffering. When I was twenty-three, financial challenges forced me to sell off my baseball card collection. I realize how trivial this may sound to some of you. But I had been collecting cards since I was six years old and they were precious to me. 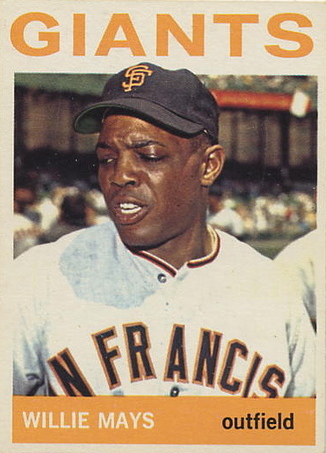 I remember biking home from the drugstore at seven years old with a box of baseball cards—filled with twenty-four packs at a nickel each—and sitting at our family room table lovingly opening each pack, checking each card against my checklist, and organizing them into appropriate piles. My happiness could not have been more complete. Saying goodbye to my baseball cards felt like I was losing my best friends—and a big piece of my youth as well. I miss them to this day.